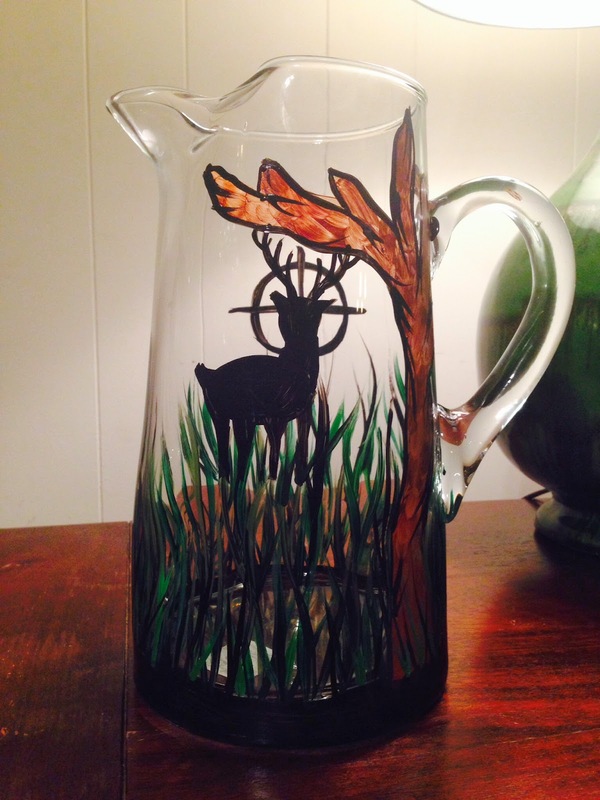 New Etsy Shop UP and Opening a Salon Art Studio! Last week seems so long ago. 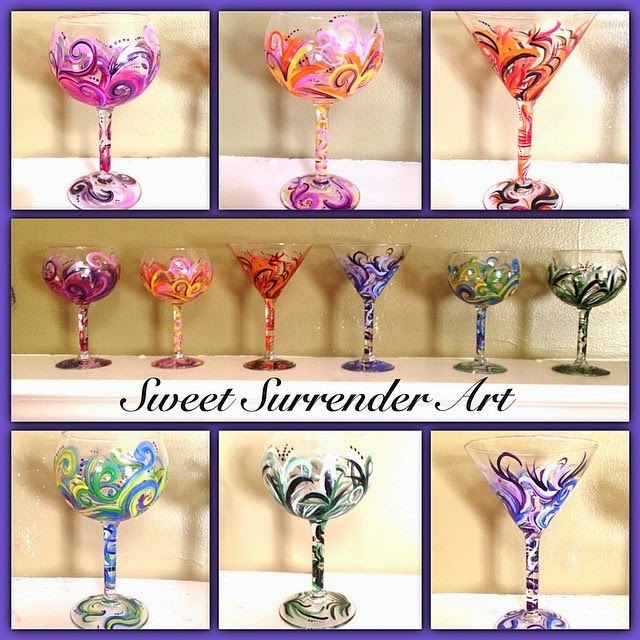 All of last week was a blur and it all started when my mom got this crazy idea to paint some glasses for her tapas party last weekend. 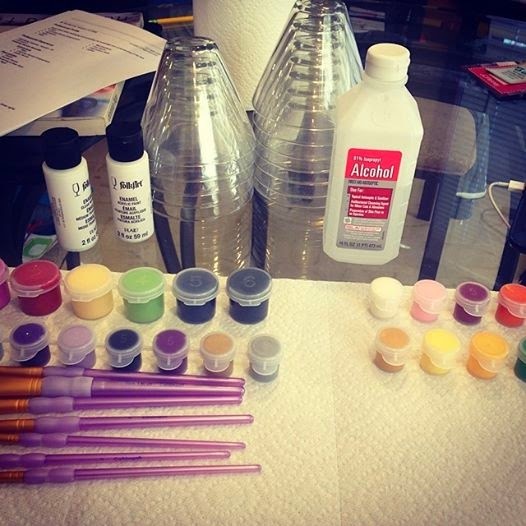 We went to Michaels and various other stores to get glass and paint supplies. We picked up some really cute stemless martini glasses and some paint. As my mom was preparing her many dishes to be served during a spa party at her house, I was painting my ever-popular swirls designs. Check it out! After I posted this picture, I had many people interested in buying a set. I had got 5 orders within 24 hours! I couldn't believe it, so of course I jumped on it. I created various other designs for the swirls. I even had a friend of mine ask for hunting style glasses and I had a really cool idea! 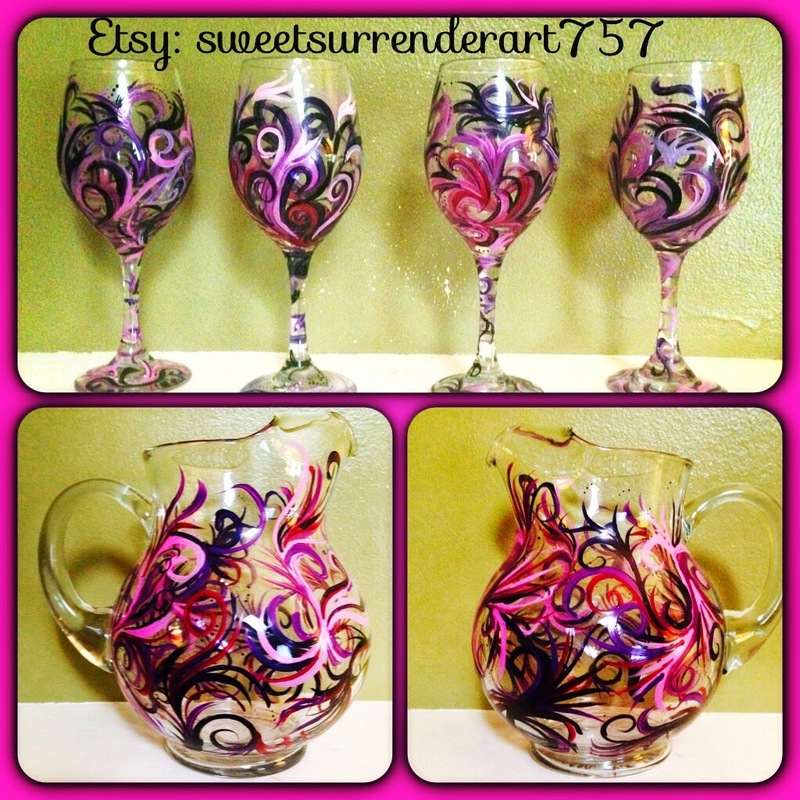 I also had a friend request all purple, pinks and blacks in the swirly designs! 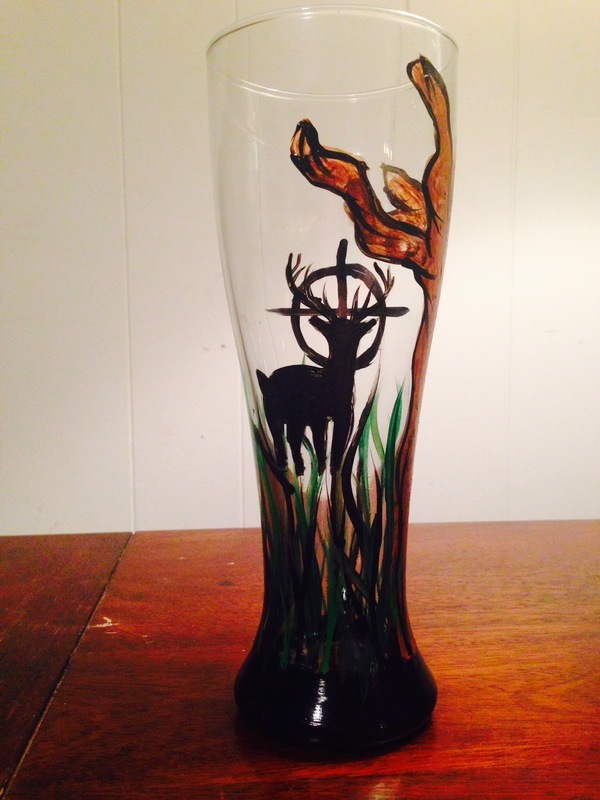 I absolutely love doing this design! I was quite surprised at how well these glasses came out and I really enjoyed painting them. 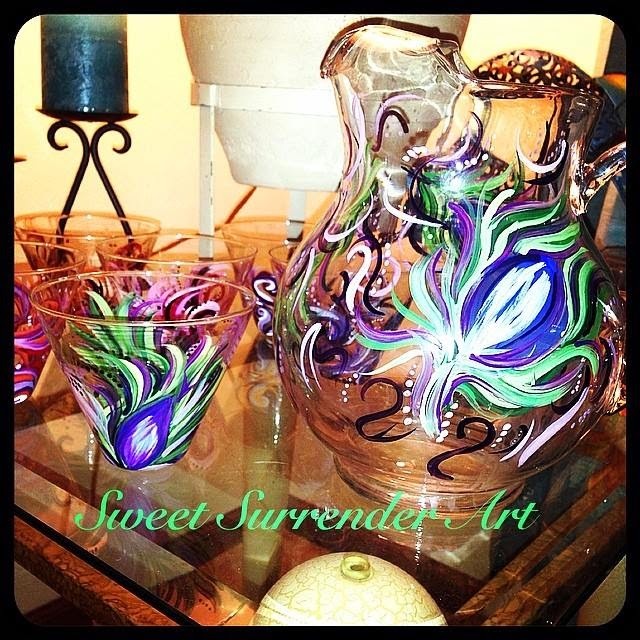 They took off so fast, that I decided to open an ETSY shop: Sweetsurrenderart757 shop and offer them. You can check the link at the top of my blog! 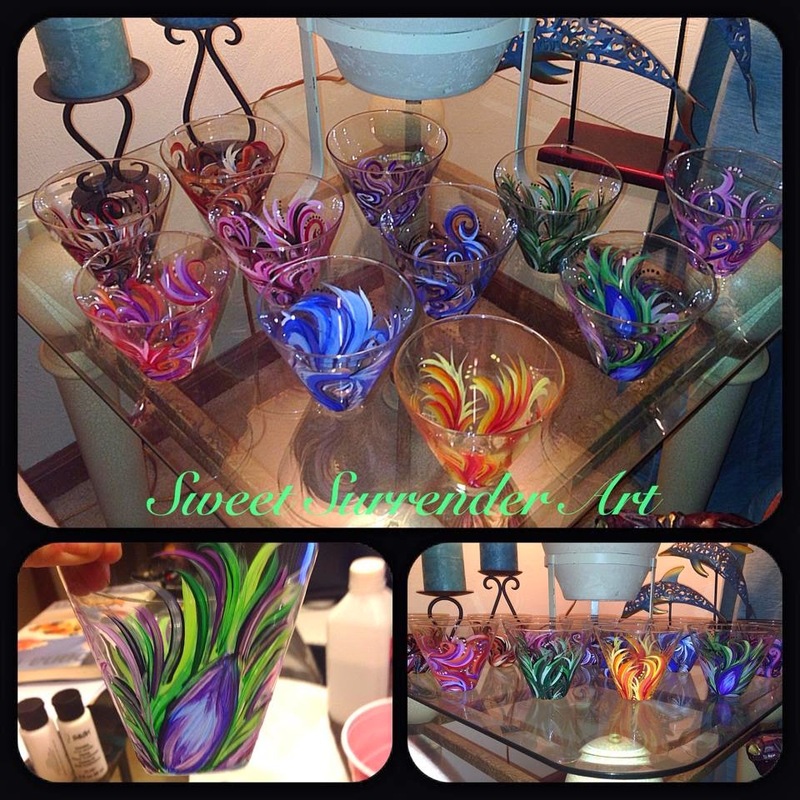 I am also planning on having a booth set up in upcoming shows, craft fairs and festivals this summer and winter. I am super excited because I have always wanted to have a booth selling something, so I am happy that this kind of jumpstarted that. In other exciting news, that my business partner and I are ready to share is that we are in the works of opening our salon/art studios! There is more to come but I want to put it out there! I will give you more updates on that tomorrow. 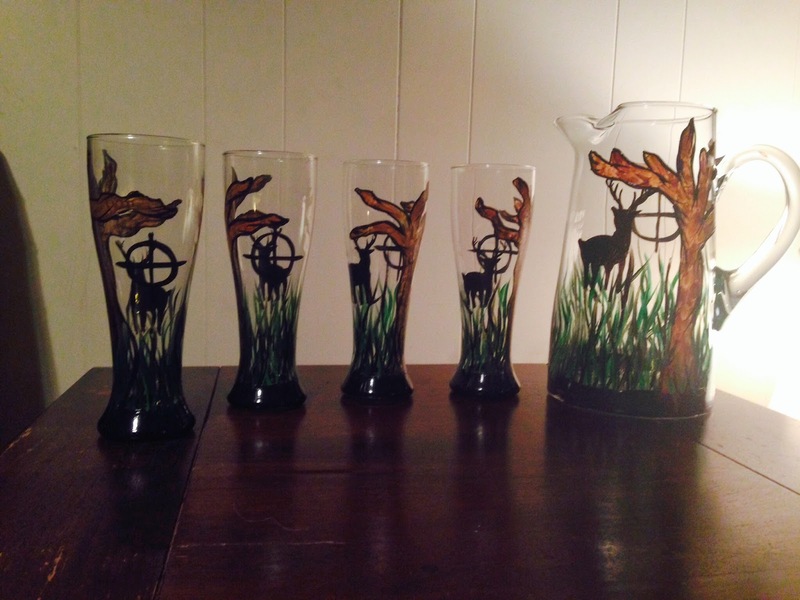 I just finished another set of the hunting glasses, and it has been a rather long day! SO, I am off to bed.